Shopping for holiday gifts can be very stressful – the shops are packed to the gills and lets face it, it’s difficult to shop for almost everyone these days. 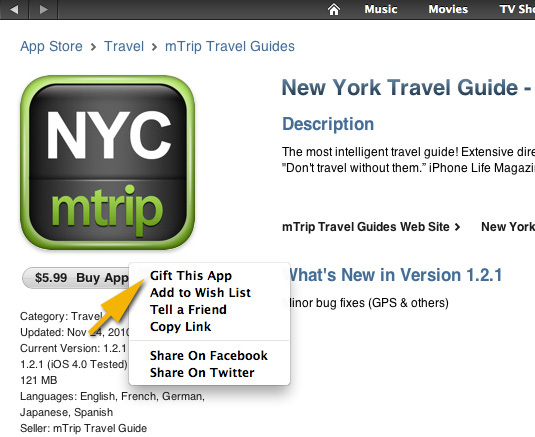 A great idea this holiday season is gifting an app from iTunes. They are easy to purchase, you don’t have to fight the crazy shopping crowds and with so many apps in the App Store, you can easily tailor the gift to just about anyone. It’s just that easy to gift an app. From business to travel, music to medical and more there really is an app for that person who has everything. What kinds of gifts are you giving this holiday season? Are you planning on gifting any apps?